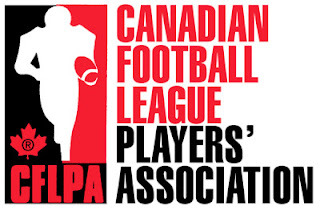 Niagara Falls – The Player Representatives of the CFL Players’ Association met Thursday at their 2018 Annual General Meeting and elected their 2018-2019 Executive Committee. We are proud to announce that incumbent Jeff Keeping has been re-elected as President of the CFLPA. 1st Vice-President Marwan Hage was elected to remain in his role as 1st VP. There are two new members voted to the Executive with the addition of BC Lions' Solomon Elimimian as the 2nd Vice President, and Rolly Lumbala as the 3rd Vice President. Peter Dyakowski of the Saskatchewan Roughriders has also been re-elected as Treasurer of the CFLPA. The Player Representatives and the CFLPA Executive Committee would like to acknowledge and thank both Keon Raymond and Josh Bourke for their years of dedicated service. The Association has retained General Counsel Art Vertlieb Q.C, Senior Advisor Ken Georgetti and Legal Counsel Don Eady of the firm Parliare Rolland Rosenberg Rothstein LLP.